Sam Kieth's unforgettable depiction of the Dark Knight fills the pages on the new BATMAN: SECRETS-SAM KIETH GALLERY EDITION. 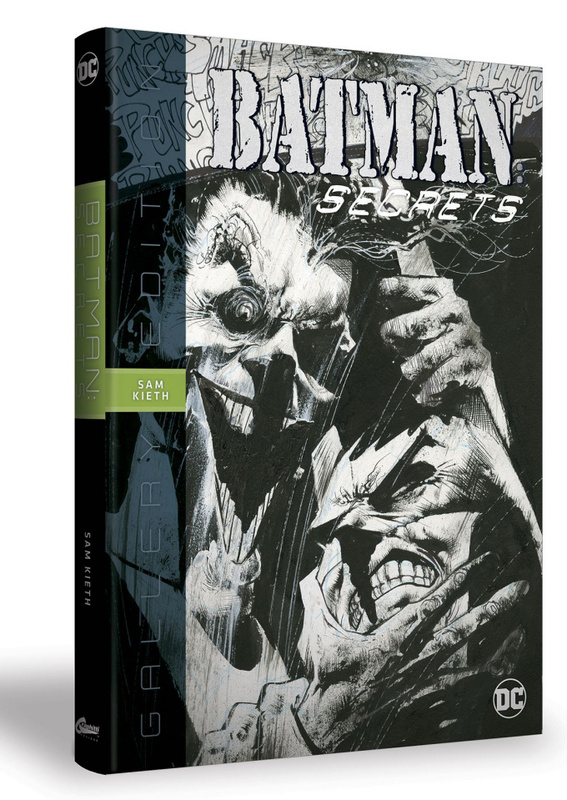 Focusing on Kieth's artwork from the 124-page BATMAN: SECRETS series, this large-format, Smythe-sewn hardcover edition is sourced from and captures the look and feel of the original boards. Rounding out this 248- page presentation is the complete art from BATMAN: CONFIDENTIAL #40, BATMAN/LOBO #1, Kieth's eight-page story from BATMAN #38 and an extensive gallery section containing covers and pages from SCRATCH, ARKHAM ASYLUM: MADNESS and BATMAN: THROUGH THE LOOKING GLASS. Graphitti Designs' Gallery Editions replicate the look, feel and attitude of the original artwork. Every page is reproduced at full board size on heavy paper stock to provide fans and collectors with museum-quality reproductions that are unobtainable from any other source. Containing samples of Kieth's art from his early days (1992) to the present (2015), this book gives the fan, collector and art student a never-before-seen overview of his incredible work.